Nearby Aki Grand Hotel. We have own parking area. So,you can come here by car. Parking area occasionally need charge in busy season such as New Year and the middle of August. It's the end of pier from Ferry terminal. Please come to our waiting room for application. You can't go to pier, before our staff show you. It's safety reason. 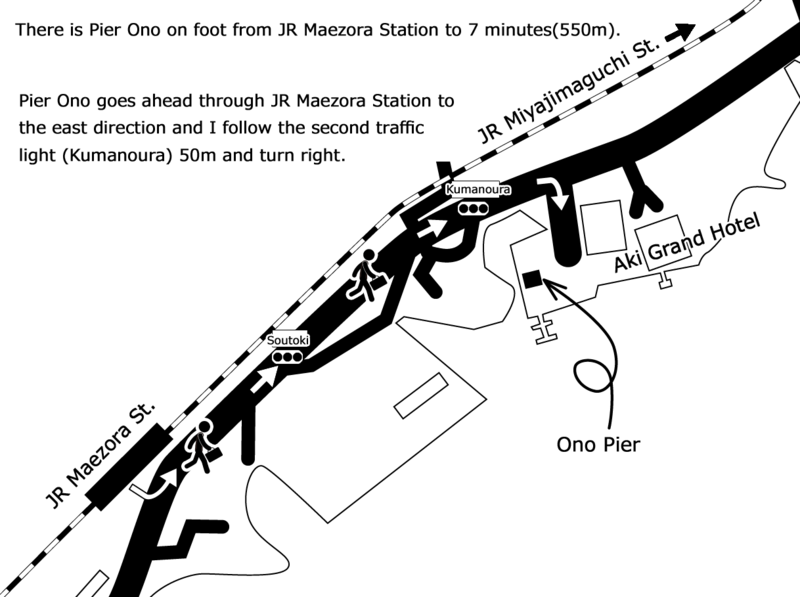 When you come by JR, getting off at Miyajima Sta.is faster and more useful. You can come easily, because we have a free parking area for120cars. Sanyo drive way and Hiroshima Iwakuni driveway is connected directly. You can come easily, because we have a free parking area for 120 cars.